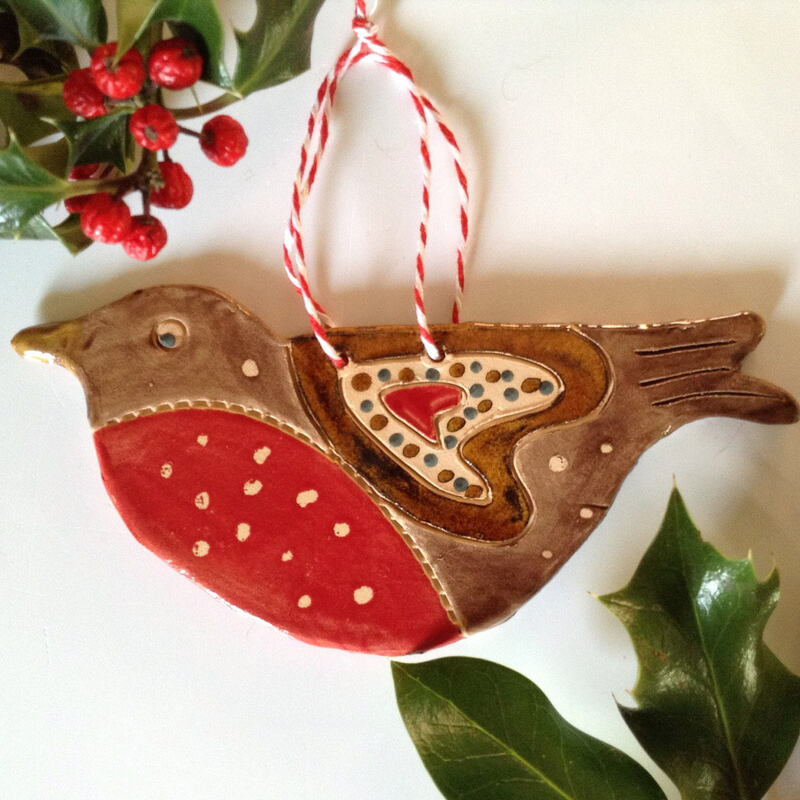 Chirpy little Christmas Robin hanging ornament. Has a pretty red and white twine hanger. A bright and cheerful little decoration, each one detailed and unique. Each completely handmade and hand decorated. They measure between 11 and 14cm at the widest point (depending on whether it has a straight tail or a lifted tail) x 6.5cm high, excluding hanger. 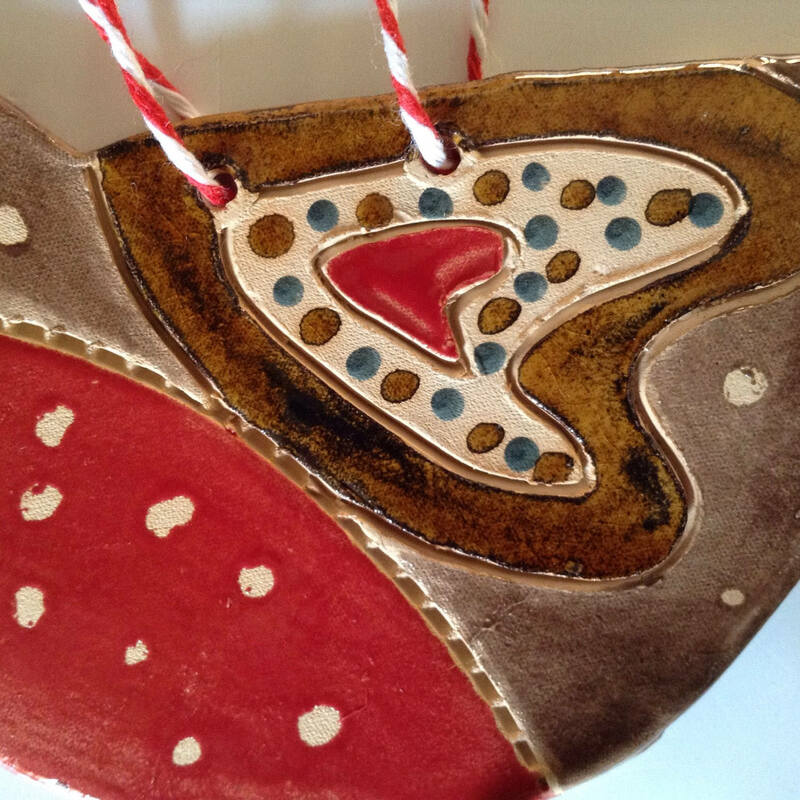 I cut the shape from a slab of earthenware clay and etch the patterns into the wet clay by hand. Once dried out, they are bisque fired in my kiln and then I apply the coloured glazes. They then need to be fired a second time. My potter's mark is on the reverse. 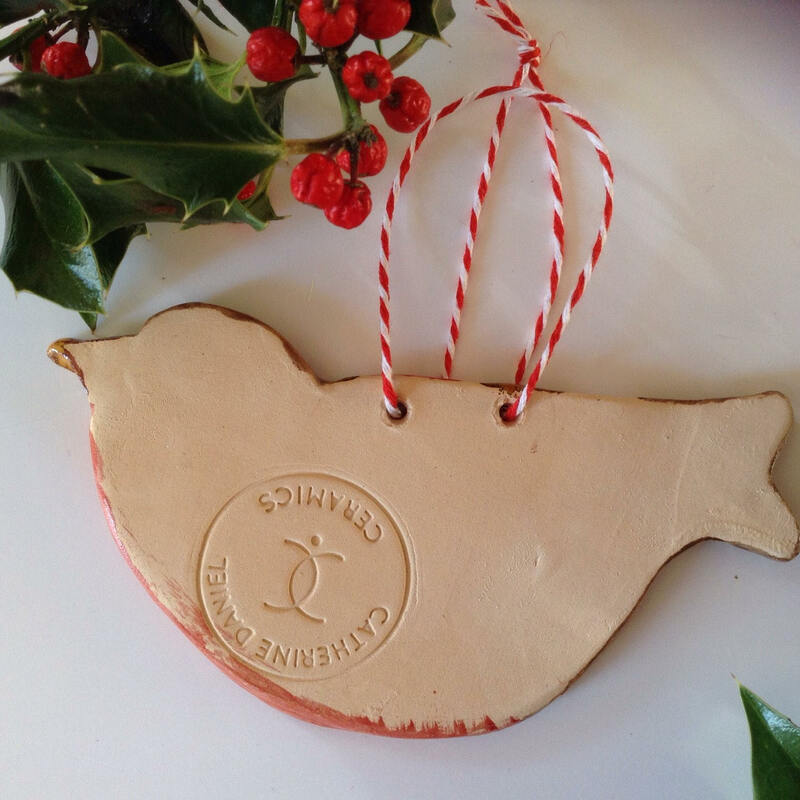 Quite sturdy - please hang from a strongish branch if hanging on your tree. I so enjoyed making these little fellas! Happy Christmas!